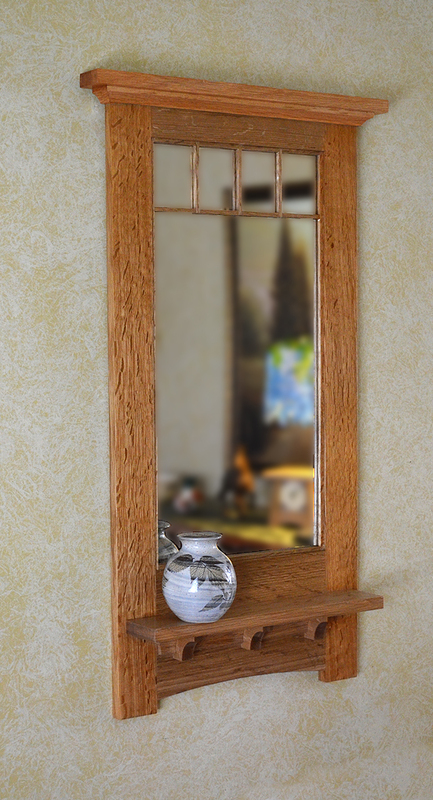 Handcrafted Craftsman (or Mission) style mirror. Beautiful, unique piece you’ll love. 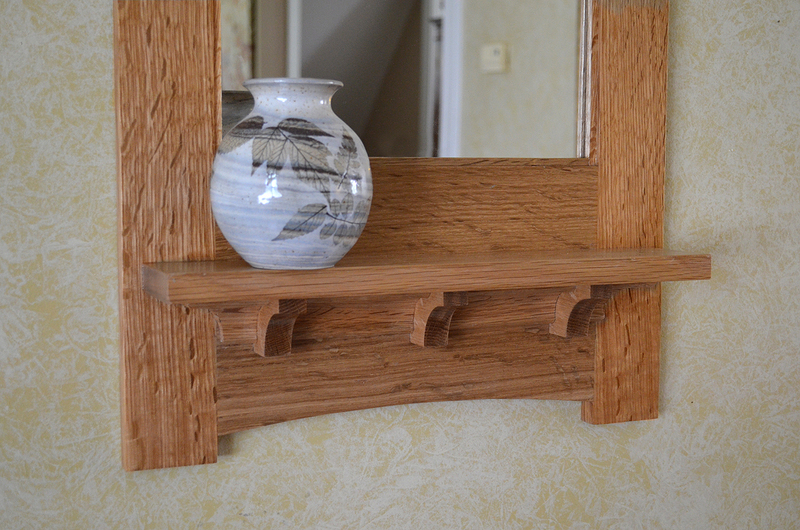 A narrow shelf supported by corbels offers a place to display small items, and the decorative cove moldings between the corbels and on the top really give the mirror a more refined look. The interior frame muntins at the top of the mirror break up the otherwise one piece look of the mirror. All solid wood, no veneer. Mortise and tenon joinery make it bullet-proof. Comes with special mounting bracket to ensure a level and solid mount. White oak. Finished in shellac.